With the 2015 spring split of the LCS beginningthis week, fantasy managers are turning their attention to their rosters to ensure their teams have the best possible start to their fantasy leagues. LCS beginning this week, fantasy managers are turning their attention to their rosters to ensure their teams have the best possible start to their fantasy leagues. Here at GP10 we’ve delved through the opening fixtures to identity both the teams with strong starts that merit a late inclusion in your teams, and the squads set for significant early challenges. European newcomers Giants Gaming have all but been written off this split, but an easy set of opening fixtures will allow them to prove the doubters wrong. Their opening game sees them face the wildly inconsistent Meet Your Makers. With Kori dropping out of the team at the last minute, the strong solo lanes of Giants could find a way to cause an upset. They then line up against last year’s whipping boys, Copenhagen Wolves. With a clear weakness in mid laner Soren, Giants talisman PePiiNeRo will be able to really assert himself in the laning phase. In their second week, The Giants face the league’s other newcomers, Unicorns of Love and H2k. While H2k handed Giants their first series defeat in the expansion tournament, the replacement of mid laner Febiven with Ryu presents PePiiNeRo with an opponent he has already comfortably defeated. While Unicorns of love certainly impressed IEM, there aggressive style and off-meta picks will not take Giants by surprise. Commentators will certainly focus on the mid lane match up, but Giants will also need team captain Werlyb to hold off the highly regarded top laner Vizicsacsi. After snatching the final spot in the NA expansion tournament, Team Coast could not ask for a kinder opening. 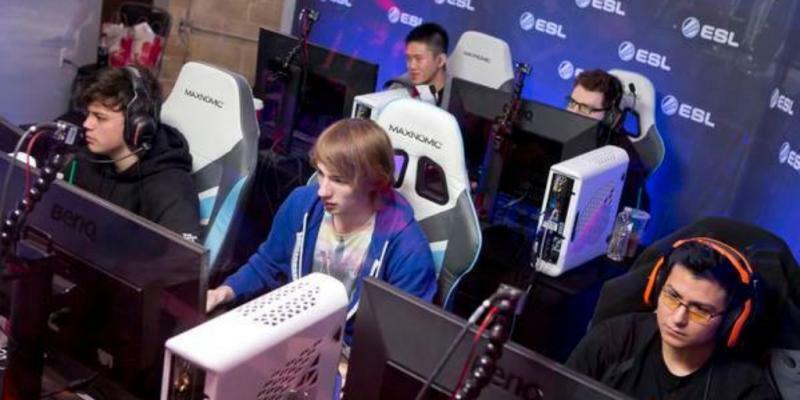 Kicking off their campaign are matches against Dignitas and Winterfox. After a very questionable performance at IEM Cologne, Dignitas come into the split as one of the weakest teams in the league. While Winterfox would usually offer a stern challenge, Coast can exploit the absences of Imagine, Helios and Avalon to pick up a vital win. If Coast want to secure success in their opening week, the performance of Jesiz will be key as he faces two of the leagues strongest mid-laners, Shiphtur and Pobelter. In the following week Coast are pitted against NA LCS debutantes Gravity and Team 8. After a narrow series loss to Gravity in the expansion tournament, Coast will need to show the consistency that had previously eluded them. Team 8 ccomfortablybeat the previously iteration of Coast, but the addition of Jesiz and Impaler may even up the odds. The LCS newcomers start their split with matches against Copenhagen Wolves, who comfortably overcame H2k in their relegation matches, and the enigmatic Fnatic, a team that features former mid laner Febiven. What follows are promising matches against an unsettled Meet Your Makers team and fellow newcomers Giants. Question marks remain over the state of the team without their star mid laner, but H2k are more than capable of coming out of their first 2 weeks with a strong record. Roccat’s new line-up will have to synergise rapidly if they are to overcome a grueling set of fixtures. After facing top four rivals SK Gaming and Gambit in the opening week, the team enter into week two against the Fnatic. Having reportedly impressed in scrims, Yellowstar’s new boys will be no pushovers. Expect Overpow to have a particularly torrid time against the highly touted Korean top laner, Huni. Rounding off Roccat’s second week are last split’s champions, Elements. If they are to beat the European powerhouse, Roccat must rely on the aggression of Jankos and Nukeduck to shut Froggen and co. down before their controlling style is allowed to develop. After a winter exodus that saw 4 members leave the iconic organisation, Fnatic’s new line-up have a lot to prove. A tricky opening fixture sees mid laner Febiven face his former teammates in H2k, followed by a match against last year’s championship rivals Elements. A lot of Fnatic’s success in their opening games relies of the performance of Febiven, who will have to overcome formidable lane opponents in Froggen and Ryu. Fnatic’s second week sees matches against in form IEM champions Gambit and the new look line-up of Roccat. With questions looming over the ability of Reignover, expect star junglers Diamondprox and Jankos to provide major obstacles to Fnatic’s success. ping Team Liquid to challenge for top spot this split, but a challenging opening will require the new line-up to hit the ground running. Week one begins with testing trips to Team Impulse and CLG, two teams said to be in the race for a top 4 finish. The absence of AD carry Piglet may be particularly damaging this week, with any replacement faced with the thankless task of laning against Doublelift. Thankfully, Team Impulse will be without their Korean talisman Impact, but Liquid’s success hinges on the performance of Fenix against one of the leagues strongest mid laners, XiaoWeiXiao. Week two will prove to be one of the most important and challenging weeks in the split for Team Liquid. Matches against Cloud 9 and TSM will severely test their championship winning credentials, and victories against either team will prove to be vital stepping stones to the top spot. While Liquid are more than capable of matching both mechanically, the key to victory for Liquid will lie in their strategical focus and mid-game team play.